Unveiling newly-renovated guest rooms, suites, and public areas this spring, Courtyard Newport Middletown makes travel a breeze. Our hotel's prime location provides easy access to explore the boutiques and nightlife of Thames Street, the International Tennis Hall of Fame and the top-rated beaches and opulent mansions of Newport, Rhode Island. Following an eventful day of work or play, settle down in our spacious refreshed rooms, where you can kick back on pillowtop mattresses and catch up on the day via our complimentary Wi-Fi. Every morning, start your day with breakfast sandwiches and Starbucks coffee at The Bistro. Be sure to return in the evening for classic American entr es and handcrafted cocktails. 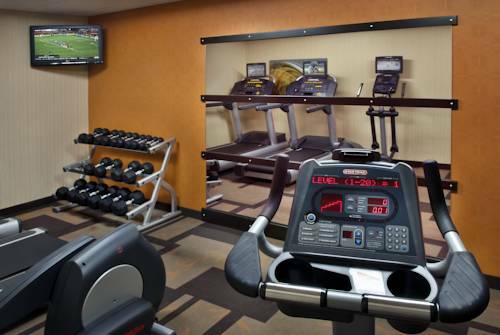 If you're health-conscious, continue your workout routine at our 24-hour fitness center, or make a splash in our refreshing indoor/outdoor pool. Whether you're traveling to New England for business or pleasure, set sail for a successful stay at Courtyard Newport Middletown. The Bistro Eat. Drink. Connect. : Our Middletown restaurant is your food and beverage destination for refreshing breakfast choices and a variety of dinner options, plus evening bar. The Bistro also offers specialty beverages made with Starbucks coffee to help you get a jump on the day.